Have you considered Anti-graffiti film for your home or office? Graffiti has been around for quite a while and many homes and business owners. The history of modern graffiti dates back to the 1960s and half a century later it’s still an issue that people are concerned about. The good news is our company has product lines of window film that can help to add more security, privacy, and aesthetics to your residential or commercial building. Does your neighborhood have a problem with graffiti? If so then you should definitely consider our company’s anti graffiti window film. It can help to protect against many kinds of graffiti include acid etching, scratching, etc. If you have home insurance there’s a chance that graffiti is covered. However, keep in mind it can involve a lot of paperwork and such. Depending on your insurer and the situation there’s always a chance that the insurance company won’t cover the costs of fixing your windows. In that case you could end up with out-of-pocket costs needed to undo the damage from graffiti. A home is the biggest investment that many people make during their entire lives. As a result, it’s important to take steps to protect your investment. That includes taking steps to keep your home safe and secure. One way to do that is by installing window film to battle graffiti. There are several benefits of installing this film. The biggest one is it helps to protect the windows from various types of graffiti. However, there are also others. The window film is easy to install/remove, is cheaper than purchasing new window panes, and also helps to block 99% of UVA, UVB, and UVC rays. This helps to make sure that your household isn’t just safe for the work of graffiti artists but also the sun’s rays. The investment in your home is definitely worth it. Like investing in a new home, launching or buying a company is also a big investment. It’s important to protect your company’s assets. That includes the physical building where it operates. The regular maintenance costs of any commercial building can be quite high. However, it’s also important to protect your company from vandalism in various forms like graffiti. Our window film that fights graffiti is an excellent option. It can help to protect the windows from various types of graffiti. There are also other benefits. 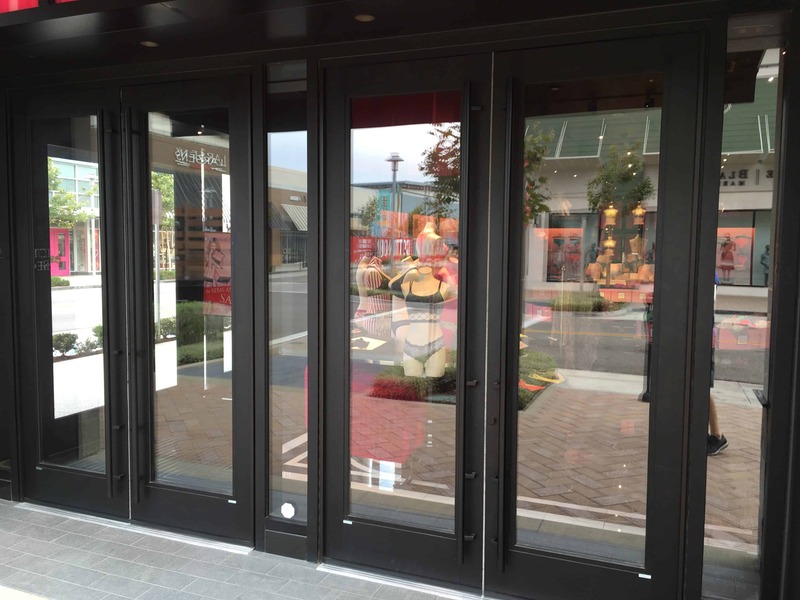 The cost of the film is significantly lower than the cost of replacing a window’s glass. This is important because it can help to save your company a lot of money. Another plus is the film also helps to filter out 99% of UV rays. This will help to reduce the chance of carpets, curtains, furniture, etc. fading when UV rays contact them. So there are many benefits your company can enjoy by investing in a film that’s anti-graffiti. Why should you consider our company’s Anti-graffiti film? There are various reasons but it starts with our high-quality products. Our anti-graffiti window film can help to protect against many kinds of graffiti at your home or office. This is important to protect against people trying to deface the property where you live or work. Our products are very effective in helping to avoid most scratches, etching, and tagging. Another plus is our company also provides high-quality installation. 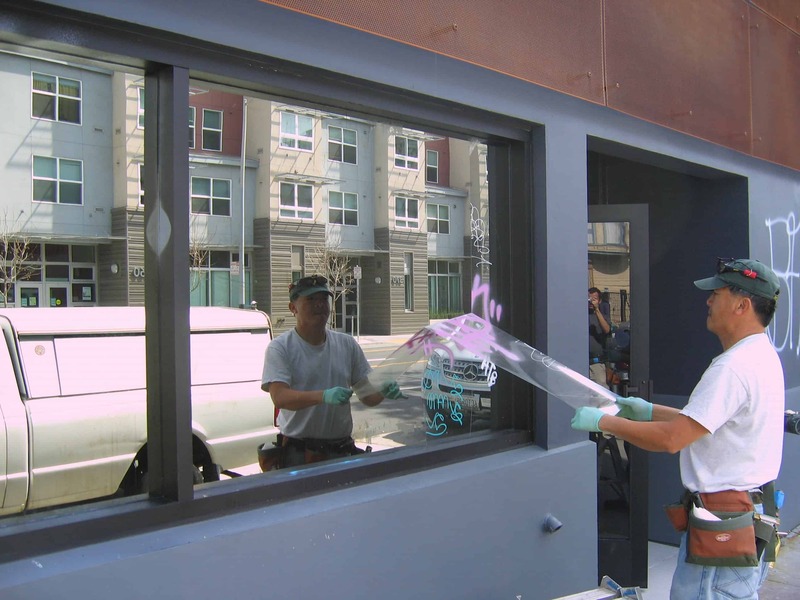 Our company realizes that it’s important to start with high-grade anti-graffiti window film. However, it’s just as important to make sure that it’s installed properly. That will help to reduce any issues you have and also prolong the lifespan of the film. Our Installers have the know-how, skills, and experience to make sure that the installation is done right the first time. Our company’s anti-graffiti window film includes one of the best products in the industry. We want to make sure that the windows in your home or office have the best protection from graffiti artists. If you pick our company we can protect it from the majority of acid etching gouges, scratches, and tagging. That will help to protect the windows yon the exterior or your residential or commercial building.